We are pleased to announce that our line of delicious meals are now available throughout Australia. Look for our range of convenient frozen meals and canned soups at your local grocery store. Our company is deeply committed to producing and selling great tasting vegetarian food. This is a true reflection of who we are and how we live. 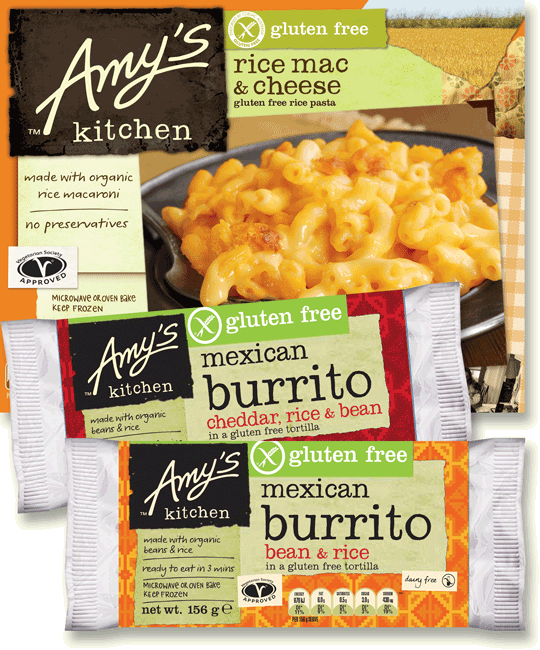 Amy's is a family business, and we are a vegetarian family. Find out how to live a vegetarian lifestyle in our FAQ section. Just to say a big thank you for the mac cheese I got the other day! Been diagnosed with gluten free diet for over 20 years and haven't had this dish since then! Its great!